From Acadia to Yosemite, Denali to the Everglades, the United States has many awe-inspiring national parks. All 59 were designated a national park to guard the beauty and the unique ecosystems of the areas. But only one is located south of the equator. And no, Hawaii isn’t south of the equator. 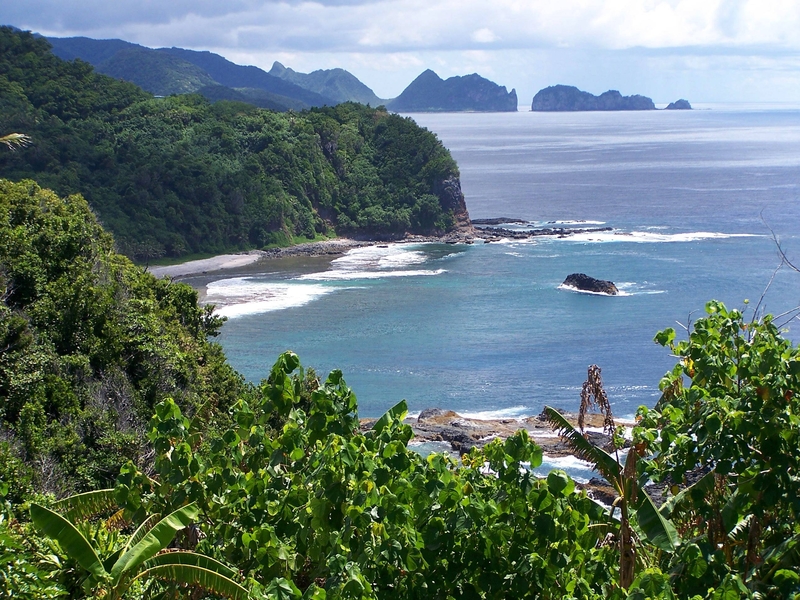 The National Park of American Samoa is an unspoiled paradise. It looks like a French Polynesian island, without the overwater bungalows and the honeymooners. The park was established to protect the rainforest, the volcanic peaks, the coral reefs, the white beaches, and the Samoan culture of the United States territory in the South Pacific. And it’s spread over three islands: Tutuila, Ofu-Olosega, and Ta‘ū. More than 900 species of fish, as well as flying foxes, sea turtles, and brown boobies call this area home. While some of the national parks draw millions of visitors each year, the remote location of this one ensures you’ll have the park practically to yourself. Driving between the airport and Pago Pago on Tutuila, it may not seem like you’re heading to toward a peaceful, isolated national park. The busy port has shopping centers, shipping containers, and traffic. It feels American, but not in a good way. Keep going though. The commercialized capital soon gives way to a rocky coastline, dramatic peaks, switchback roads, and palm tree-lined beaches. Plus very friendly, very welcoming people. A crowded bus full of sweaty strangers will be full of singing friends by the time you jump off with suggestions of places you can’t miss. Since everyone mentioned Mount Alava, it becomes your first destination within the park. Start at Fagasa Pass. Hike through the dense forest. Birds sing loudly from the green trees. 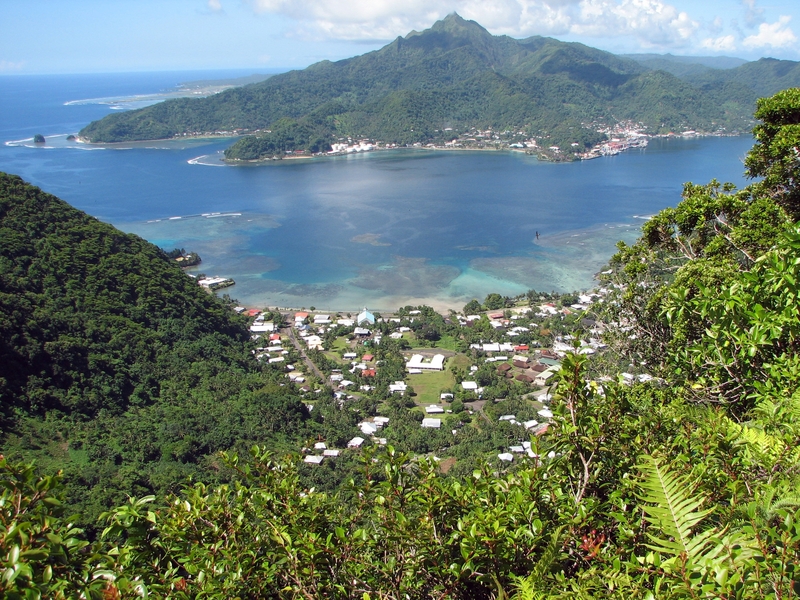 The three-hour hike isn’t easy, but you’ll be rewarded with views over Pago Pago Harbor and Rainmaker Mountain. The Manu’a Islands–where you’ll find the best scuba diving spots–are in the distance. End in picturesque Vatia Village. Flying foxes await your arrival. From Vatia, follow the paved road to Afono Pass. It’s an easier hike, with views of Pola, a natural rock formation in the bay that is home to colonies of sea birds. Cool off in Afono Bay’s turquoise water. Or visit Blunt’s Point and Breakers Point, two gun emplacement sites from World War II. Your American Samoa national park journey was supposed to end here. But the remote beaches of Ofu and the 900-meter cliffs of Ta‘ū are calling your name. America’s most remote national park may also be its most beautiful.